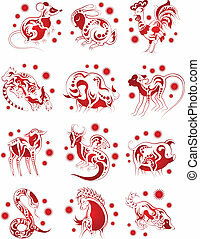 Chinese horoscope set in ancient chinese script style. 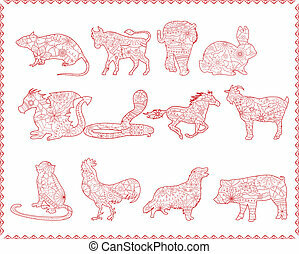 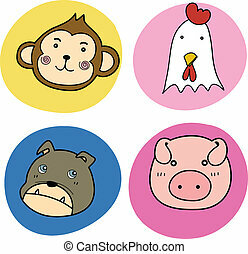 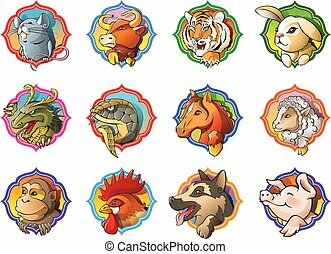 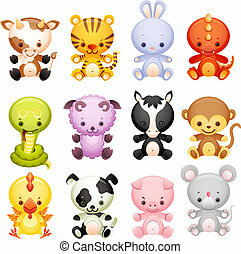 Chinese horoscope illustration to celebrate Chinese new year. 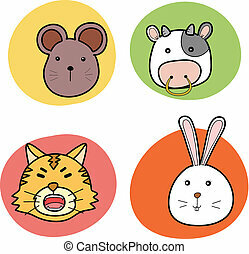 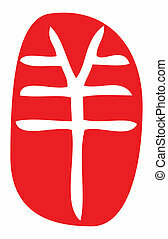 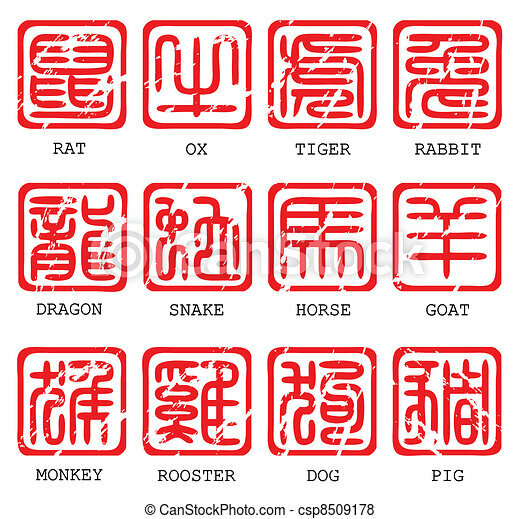 chinese zodiac in seal script, ancient way of calligraphy, year of the rat. 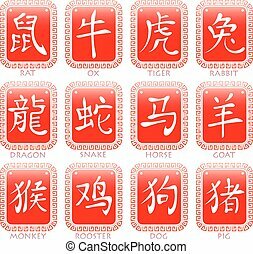 chinese zodiac in seal script, ancient way of calligraphy, year of the tiger. 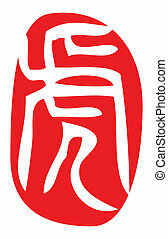 chinese zodiac in seal script, ancient way of calligraphy, year of the rabbit. 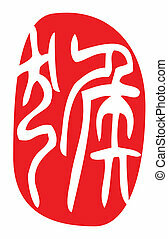 chinese zodiac in seal script, ancient way of calligraphy, year of the dragon. 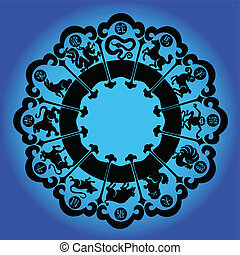 chinese zodiac in seal script, ancient way of calligraphy, year of the goat. 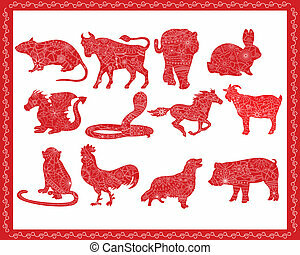 chinese zodiac in seal script, ancient way of calligraphy, year of the pig. 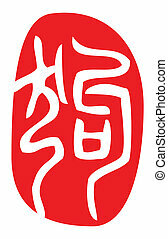 chinese zodiac in seal script, ancient way of calligraphy, year of the ox. 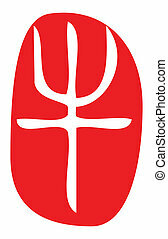 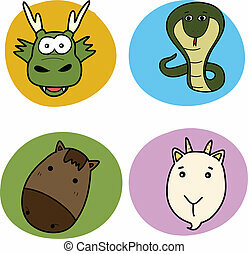 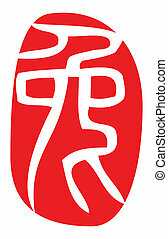 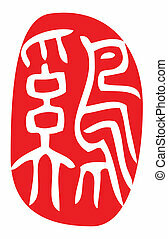 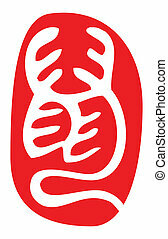 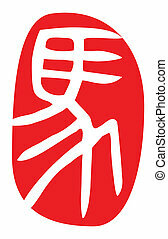 chinese zodiac in seal script, ancient way of calligraphy, year of the snake. 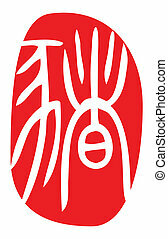 chinese zodiac in seal script, ancient way of calligraphy, year of the horse. 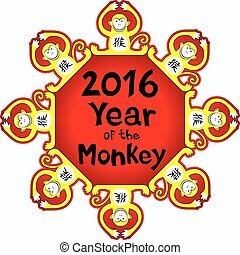 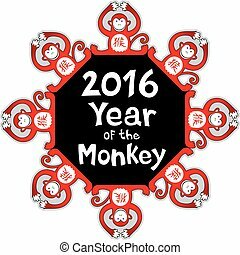 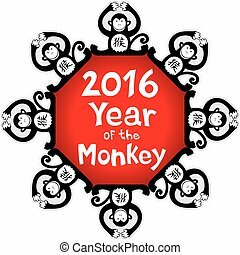 chinese zodiac in seal script, ancient way of calligraphy, year of the monkey. 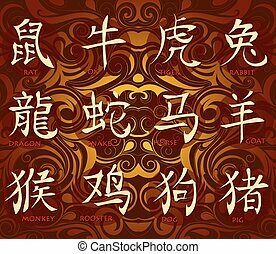 chinese zodiac in seal script, ancient way of calligraphy, year of the rooster. 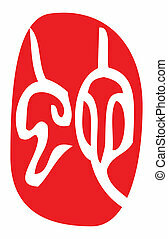 chinese zodiac in seal script, ancient way of calligraphy, year of the dog.